Why play in the real world when you’ve got a fantastical one? Wait, there’s our own history with lots of excellent genres and documents to mine! What do the Smart Party know about such things? Not enough, so we’ve recruited that bastion of Britishness and sartorial authority on Tweed, Dr. Mitch to join us. 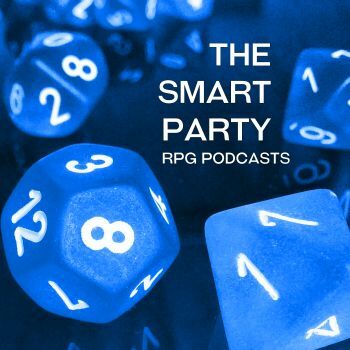 From Ancient Greece to Alexandria, he’s written his fair share of historical RPG material so we get him to join the fun and share his thoughts. You can back Dr. Mitch’s work at his Patreon site. P.S. What happened to Episode 11? It may surface later, but it’s secret for now. [Friday Map] Regional Map of Lake Velth. Love this blog. You’ll see hints of this sort of thing in my Knee Deep book. Attended LemurCon last weekend and had a great time playing all kinds of one shots. there’s plenty of blog fodder in the weekend, but I wanted to start with something a little unusual for round these parts; a board game. Smart Party Founder Member Simon has been getting his board gaming groove on for quite a while now. He has a weekly club night dedicated to the things, and a healthy collection to call on. Between him and Smart Party Quartermaster G2 I doubt there’s many games they don’t have. We’ve traditionally used board games as fillers between RPG sessions, or for when the party isn’t at full muster. 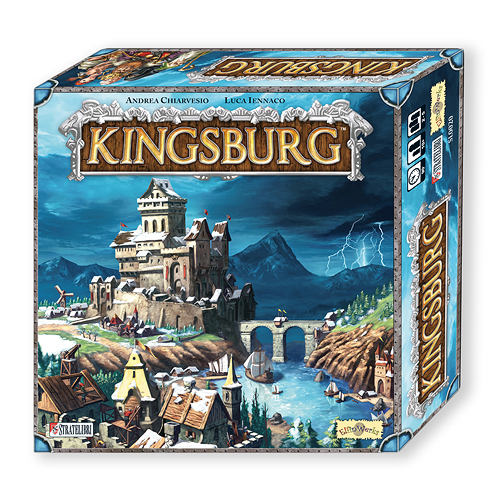 This time round I got to sit in on a game I’d never encountered before, Kingsburg.